Lou has been involved with eCollect from the beginning. As the sister of our founder James Woods, she was in the office full-time when there were less than a handful of staff members. Lou has done pretty much everything within the company including administration, accounts, new business development and collections. She moved to part-time while her family was young but is now working mainly from home on the Mornington Peninsula. 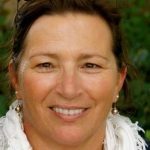 She looks after a number of local businesses on the Mornington Peninsula and also has broad experience in fashion wholesale (where she spent the first 10 or more years of her working life), medical specialists and child care centres. Lou’s business experience with eCollect and generally gives her the ability to make good judgements as to what is likely to happen in a particular situation. With plenty of friends from rural backgrounds, Lou has dislike for bulls*** and is known for her very direct dealings with debtors. When not collecting our client’s money, Lou enjoys looking after her family and friends and enjoying the lifestyle offered by the Mornington Peninsula.